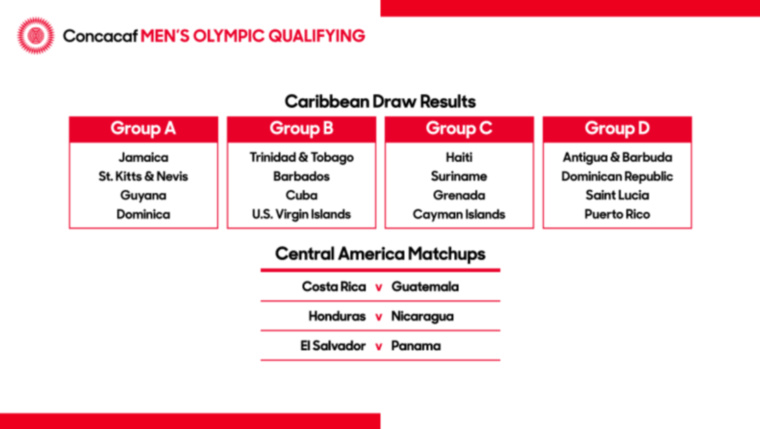 Are the Dames back or is it just a spot of good luck? 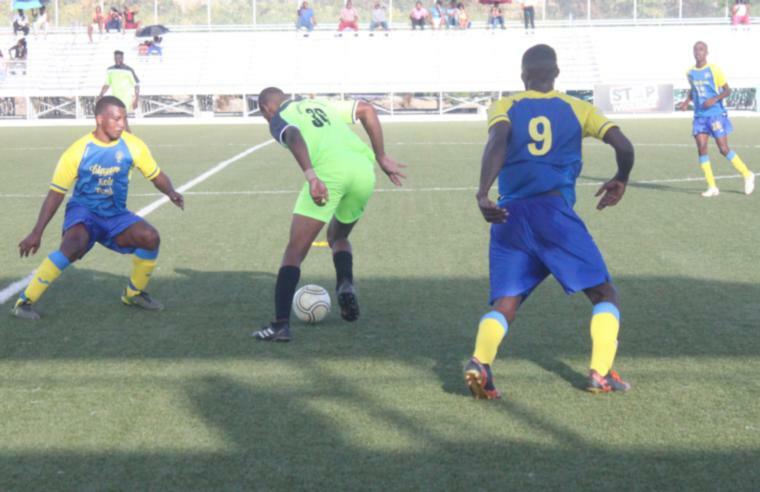 Those are the questions on the minds of many a pundit after last weekend's action in the Barbados Premier League. 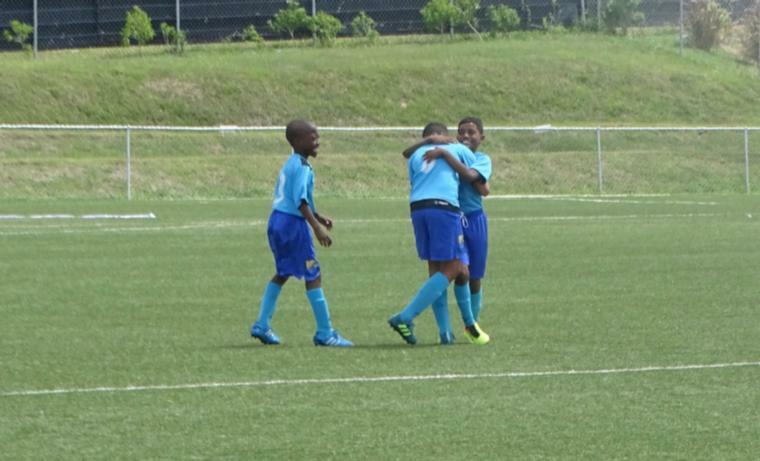 After sitting in the relegation zone for most of the season, the proud history of Clayton's Kola Tonic Notre Dame could very well be saved as they pulled themselves up to third place in Zone 1 with a rousing 6-2 win over RBC Capital Markets Barbados Soccer Academy. 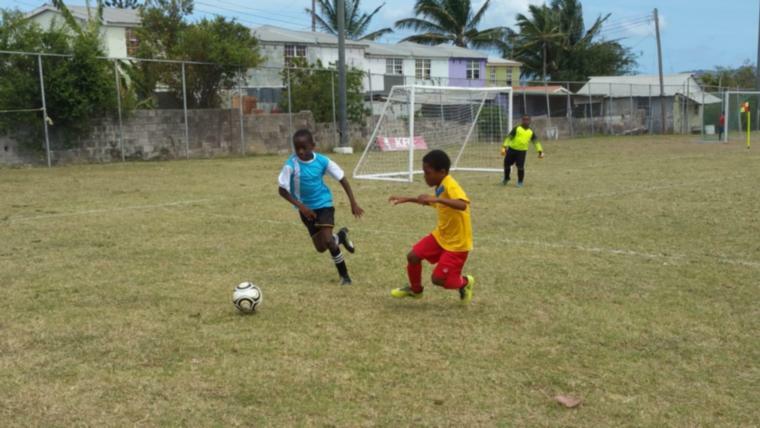 Playing in Sunday's first game, the Dames came from two goals down after D'Angelo Ward spanked the first goal past keeper Shakib Kellman in the 19th minute and a horrible defensive blunder by Aaron Leacock saw an own-goal rolling into the nets in the 20th. Five minutes later the winds would change for the Dames as Dishon Howell put a superb touch on a long cross from the flank by Janeico Baptiste. Three minutes later in the 28th, Baptiste was involved in the goal that drew things level. Putting his left boot on a loose ball just inside the BSA 18, Zacharry Parris dove to his left to get just a hand on the ball. However, Azarel Croney was there to clean up the spill. In the dying seconds of the half the Bayville side took the lead when a goal kick from Kellman was headed past the pack to run on into the BSA half. Zeco Edmee was able to break away from the group to find himself all alone with Parris and he easily put the ball through his legs to secure the lead for the Dames. Going the other way, it was all one-way traffic as Dwayne Mars kept the energy up with a simple push to the left of Parris in the 65th. Howell was the hat-trick hero as he finished of the victory with goals in the 83rd and 90th minutes. Game 2 was a straightforward affair for Weymouth Wales as they put three unanswered goals past Brittons Hill United. The woes began for Brittons Hill in the 31st when Ricardio Morris sent a long cross in from the right flank. With several players going in for the finish, the ball missed them all but came off the back of defender, Stefan Batson to get things going for Wales. 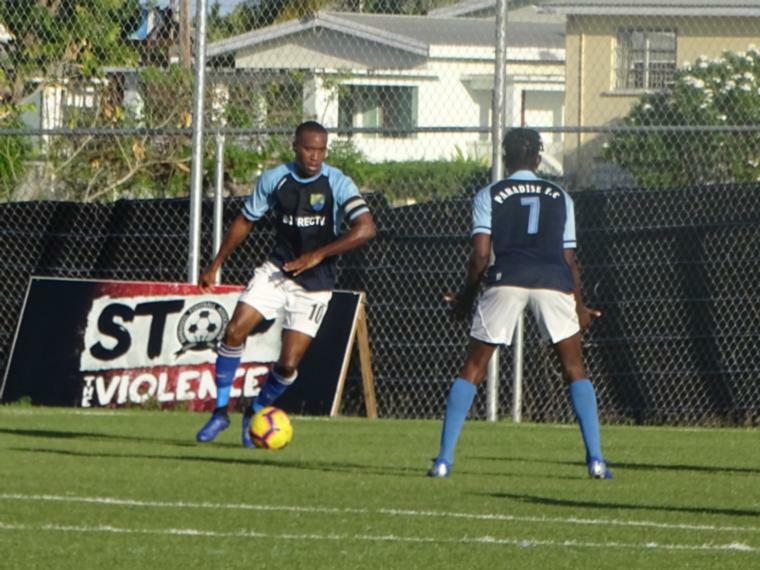 Romario Harewood got into the top-four of the goal-scorers thus far this season when he knocked his eighth goal past Nashton Browne from a penalty in the 64th minute of the game. Browne, continues to show his worth as he kept Wales out in the cold by saving several on-target shots. 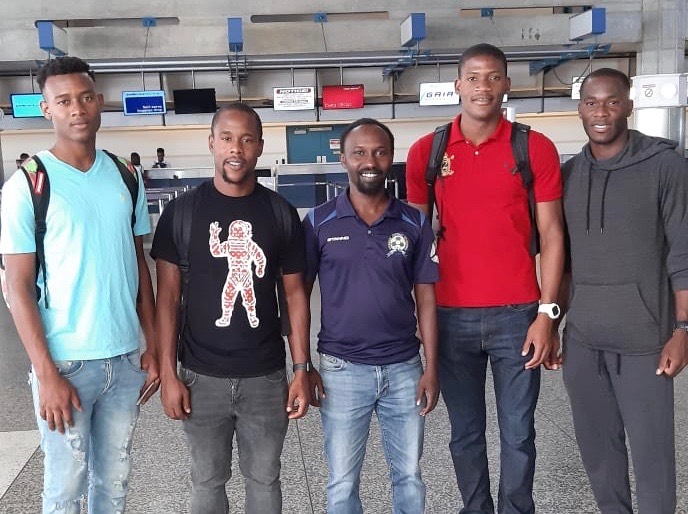 However, he was not able to keep them all out and Kemar Headley drove the final nail home in the 79th minute when Andre Applewhaite cut the ball back in the box to allow him the unmarked far-post finish. The nightcap saw Empire Club going five points clear at the top of Zone 2 as they edged out second-placed Paradise FC, 2-1. Zinio Harris got the show started just before the whistle went for the break when he converted a free kick with a shot along the ground to the right of the wall and the keeper. Going the other way, Harris racked up a second brace for the season when he dribbled keeper Paul Doughty and slotted home after ending in a one-on-one. Paradise would get a consolation in the 74th after leading goal-scorer Armando Lashley was brought down inside the box. He easily converted the resulting penalty to bring Paradise back within striking range but the equaliser would evade the Dover side.